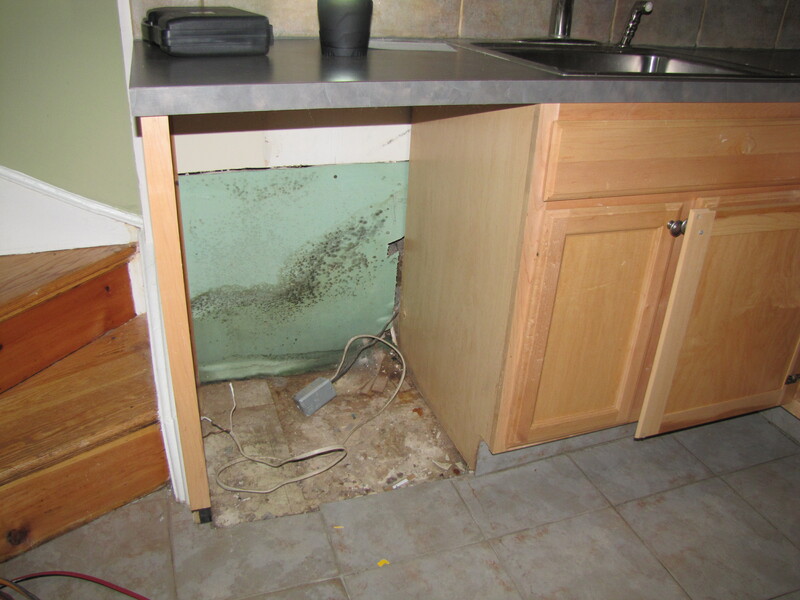 Pictured here is a photo of a kitchen where the dishwasher was removed because of a slow leak. The insurance company told the home owner to not worry about pulling the unit out, and just have the plumbing fixed. We urged the customer to remove the dishwasher, and this is what we found.